If you're holding this book in your hand, then you've already changed your life. Are you still waiting for your ship to come in? Looking for the relationship you can't seem to find? Working just to pay the bills until that perfect job comes along? Don't you wish that you could just place an order for the life that you want? "If, after reading this book, you think that cosmic ordering is total nonsense, but you decide to place an order with the universe anyway just to prove me wrong, then you have subscribed to this ordering service just the way I first did. And you just might start as wonderful a journey towards an easier, more fulfilling life." 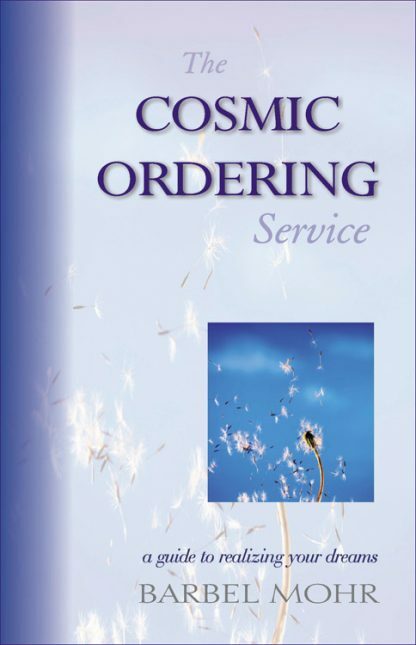 The Cosmic Ordering Service is a guide to realizing your dreams. Best-selling author Barbel Mohr can teach you how to fulfill all your wishes--just by placing an order with the universe. You'll learn how she has used the Cosmic Ordering Service to gain her dream job, the ideal man, money, health--even a castle to live in! Mohr will show you, as she has taught hundreds of thousands of European readers, how to listen to your inner voice, place your order, sit back, and let marvelous things happen. The hard part is deciding what you really want. Once you've figured that out, this charming, witty, and insightful book is going to tell how to get it. Barbel Mohr was born in Bonn, Germany. She has worked as a photographer, editor, magazine designer, video producer, and author, and she gives �How to Have More Fun in Your Daily Life� workshops. Mohr travels widely in Germany to promote better living through her seminars and lectures. Since 1998 she has published twelve self-help and children�s books in German, including the best-selling The Cosmic Ordering Service (the German edition is called Bestellungen beim Universum), which has been translated into thirteen languages thus far, selling more than a million copies combined. It is also available in a German audio edition.